Sleep Tight Kids - Sleep Tight Kids Carnival Day! Sleep Tight Kids Carnival Day! Purchase your ticket at the door for $ 15.00 each. See you at Highland Brewing rain or shine! Join us for a family friendly day of games, live music and food all to benefit the needy children of Western North Carolina. 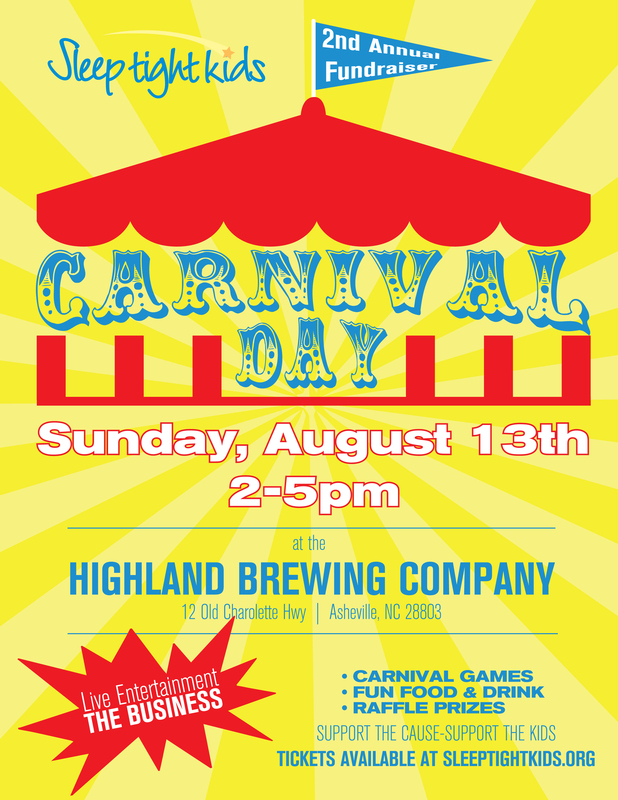 See you at Highland Brewing soon!